Just yesterday, I've witnessed the very embodiment of communication theories which I joyously learn about in the form of an online debate conducted on social media LINE Messenger. 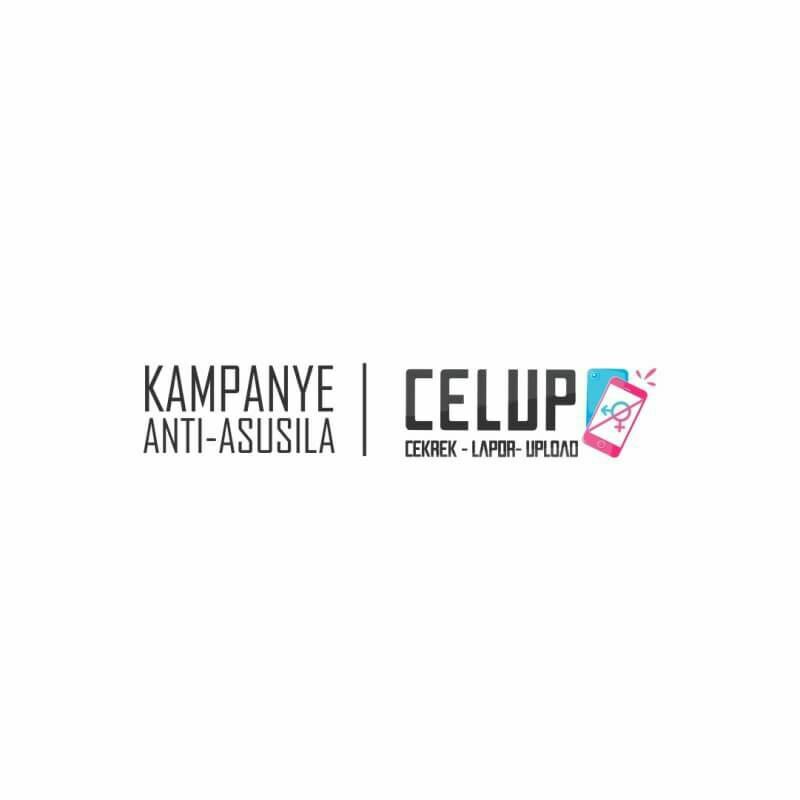 The debate involved two parties; the first one being a well-known, high-exposure online activist on the same social media platform, and the second one being an underground meme maker with a more segmented audience. What makes it unique is that there are tens of other parties debating against the second party in the name of the first party. To put it simply, they took side with the first party and got really involved in the debate because of it — even if the first party didn't ask for it in the first place. For the whole day, I made a non-stop observation as of how they all interact with each other as well as the pattern of their interaction. And from that same observation, I made a conclusion that there's a high probability that herd mentality is what causing this occurrence to happen. 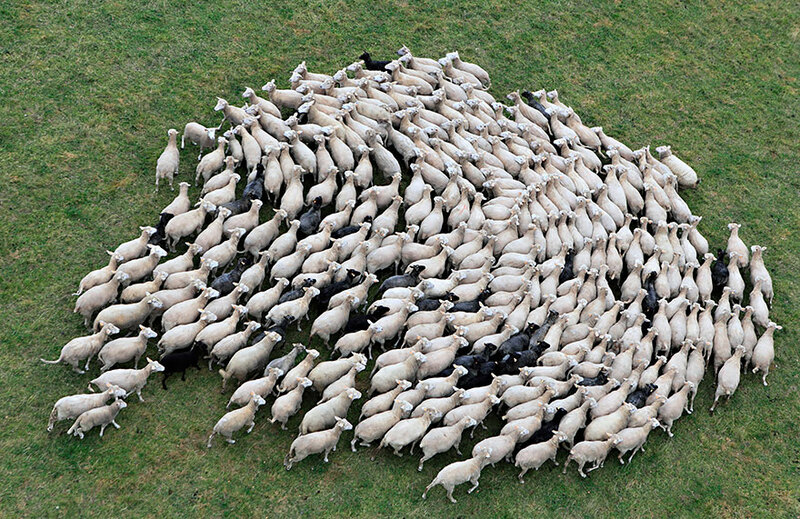 According to Vishwanath in his article, people on the internet demonstrated a herd mentality. They tend to gravitate towards someone whose page showed more connections, therefore inherently more popular in general. Let's say we have an online debate involving a more popular party against a less popular party. In a public domain such as social media, there will always be spectators and they tend to take side. And at times like this people are affected by the herd mentality. Even if the less popular party's argument is considered to be objectively better, people would end up taking side to the more popular party simply because they're more popular — more familiar — than the other (now this is not me necessarily saying that the facts from my observations are parallel to that example, because I know there will be people who'd twist my words). The spectators tend to agree one's opinion or argument when they're more influential. And in this case, more popular; meaning that they garner bigger audience and that same audience is also familiar with them. Therefore, it's easier to nod with them. People do like familiarity, right? This very same mentality could also be amplified by the tendency of people not to speak up about certain issues in public — or among their family, friends, and work colleagues — when they believe their own point of view is not widely shared. This tendency is called the 'spiral of silence'. This communication model first coined by Elisabeth Noelle-Neumann, a German political scientist, is one of the core theories that's still continuously being widely discussed about in the studies of communication even up until now. 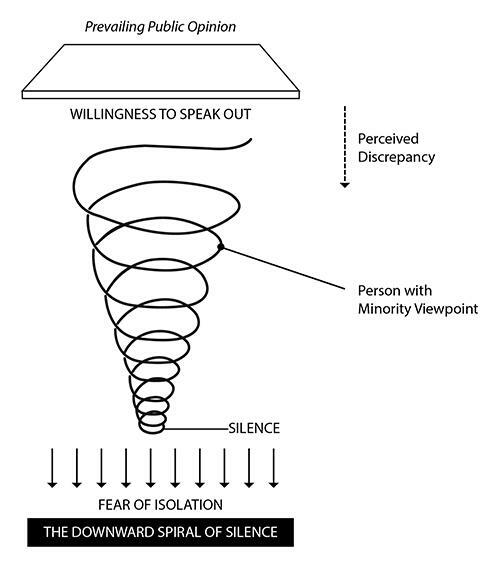 The original findings of the 'spiral of silence' as to people's willingness to speak up in various settings also apply to social media users. And in this case, to spectators in an online debate. Those who use a certain social media platform would be more willing to share their views if they think their followers agree with them. Or, if they think their followers are willing to back them up for speaking out about their views. And vice versa — the same logic also applies if they don't feel that their friends or followers agree with their point of view. They then tend to refrain from sharing their views because they're afraid of the backlash they might receive for sharing them. And so we can conclude that the recipe of a successful online bickering (yes, I specifically use the very word "bickering"), or literally any bickerings in general, is to have a bigger audience than your opponent. Any other qualities are pretty optional, really. That should clearly explain why Trump could become a POTUS, amirite? Hampton, Ketih N., Harrison Rainie, Weixu Lu, Maria Dwyer, Inyoung Shin, and Kristen Purcell. 2014. Social Media and the 'Spiral of Silence'. Pew Research Center. Noelle-Neumann, Elisabeth. 1974. "The Spiral of Silence: A Theory of Public Opinion" in Journal of Communication. 24(2): 43-51. Vishwanath, Arun. 2015. "Diffusion of Deception in Social Media: Social Contagion Effects and Its Antecedents" in Information System Frontiers. 17(6): 1353-1367.